Broker Think Tank is agent-to-agent listing promotion and market insight software. Ideal for: All agents seeking peer-to-peer marketing advantages, pocket-listing promotions, and rapid listing dissemination. Software is not consumer-facing; it’s designed to leverage collective sales power of agents. Broker Think Tank is powered by agents marketing to agents, so its value in each market will rely on the marketing sophistication of Board members. Broker Think Tank is what your local MLS should have aspired to be ten years ago. But it isn’t, so Austin, Texas, agent Kathleen Wainwright took it upon herself to develop an agent-to-agent marketing platform. The intent of Broker Think Tank is to allow agents to once again sell homes by leveraging the professional expertise of their in-market peers. A license number and board affiliation is required for sign-up. 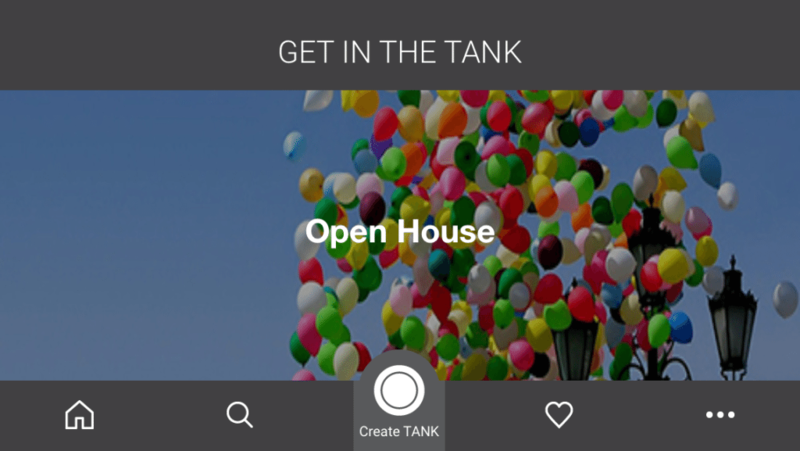 Once “In the Tank,” agents can easily create a “Tank,” or rather, a Pre MLS/Pocket Listing, Buyer Need, Lease, New Build or Open House. Photos for any option can be pulled from your library or taken as you go. Basic details are added as you step through the app. 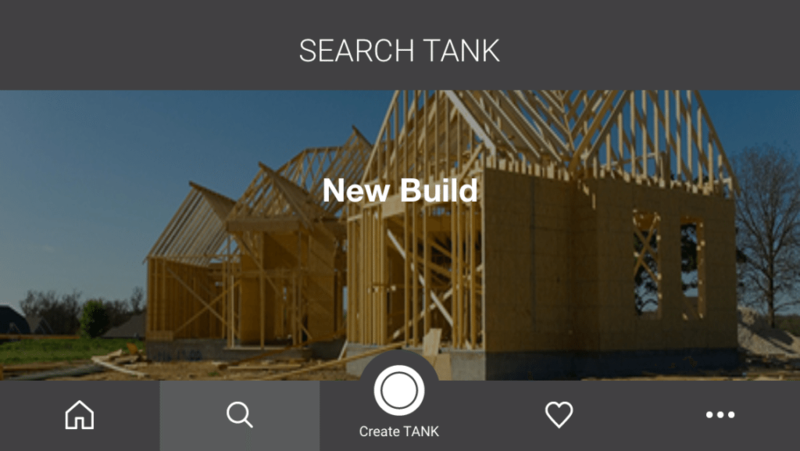 New Tanks are presented to all users within your MLS via a scrolling, visual-friendly interface. It’s a cleaner, real estate-centric Facebook news feed. Icons to like a property, comment on it or connect with the agent to learn more appear next to the agent’s profile under each image. Property videos auto-play (without sound). 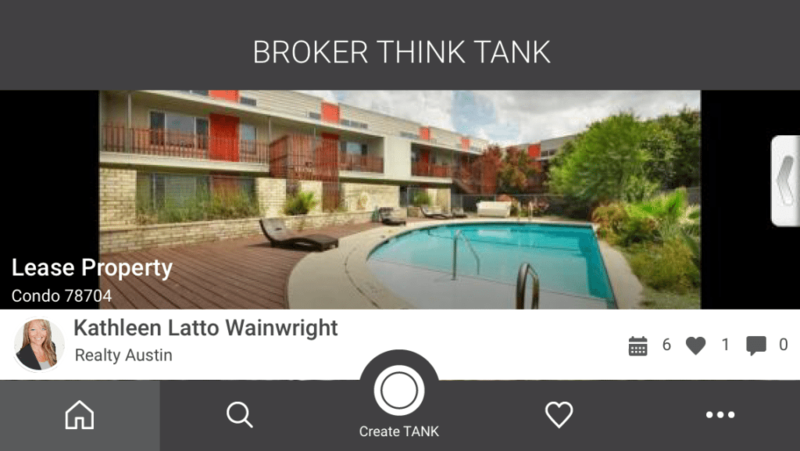 The software is optimized for video, and agents comfortable with video marketing will stand out on Broker Think Tank. Buyer Needs can be as simple as a 30-second video announcement. It’s practical and engaging. Agents can generate buzz about a “coming soon” listing minutes after leaving a client’s home with a signed agreement. A few photos, short video and brief description is all it takes. 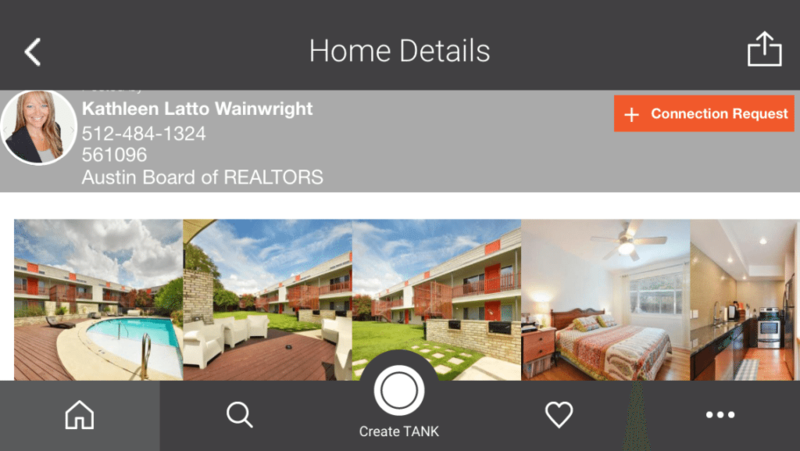 This sounds like a rudimentary comparison, but essentially Broker Think Tank is a sales-focused social network for agents. Again, it’s what every MLS should be today: a source for experienced real estate professionals to share industry knowledge. It’s about keeping the data within the industry, not chasing portal inaccuracies, trying to out-advertise competitors or carpet-bombing your peers with email announcements and website links. It’s a post-once, ready-many communications concept. 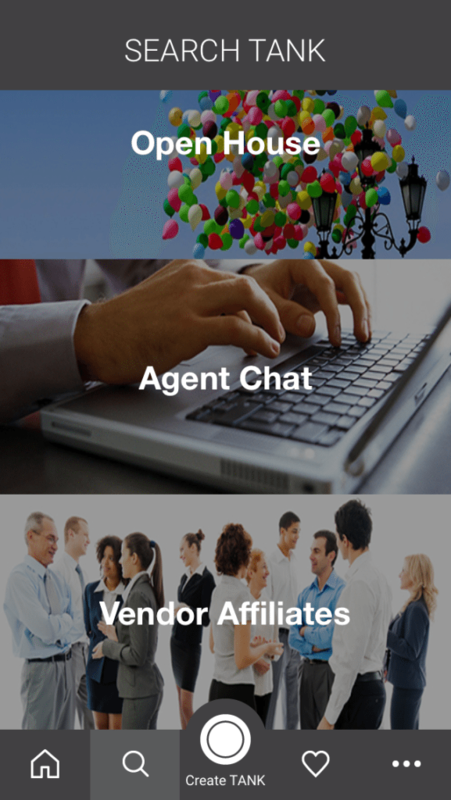 Users can create Agent Chats to discuss local news and industry trends, ask for vendor contacts or promote Board events of which they are a part. This is what every MLS should be. Tanks can be shared via email or social media directly from the interface. You can also send a Connection Request to specific agents. However, in its effort to preserve the sanctity of industry best practices, any overt recruiting tactics using Broker Think Tank will be snuffed out and put at risk a user’s membership. Clearly, the software can’t control such efforts outside its boundaries. At risk of sounding hokey, Broker Think Tank’s clear intent is to take back the industry. Instead of doing it by winning over customers with high-powered websites, it’s returning to the value of inside information. At risk of sounding hokey, Broker Think Tank’s clear intent is to take back the industry. Agents hold the power, and this software internalizes it via a technically capable, practical and compelling mobile tool. Adoption is its largest hurdle, but one I hope it’s able to clear. Actually, you should want it to, as well.